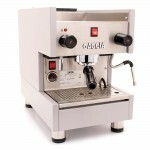 Click the button below to add the ECM Classika PID Espresso Machine to your wish list. 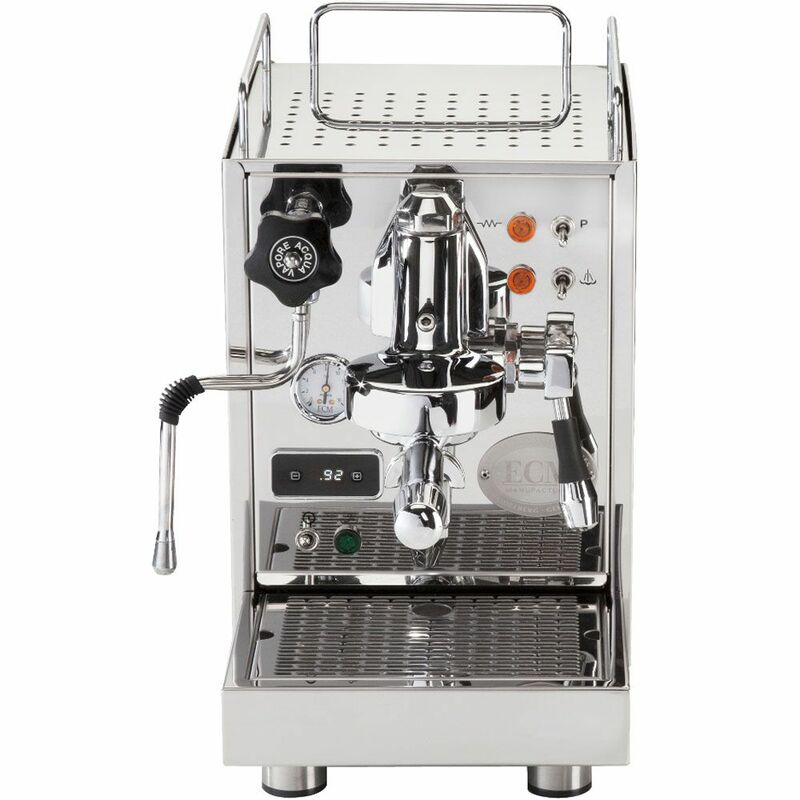 Crafted for home baristas with tighter budgets and kitchen space, the ECM Classika II PID is a high performance semi-automatic espresso machine for those who demand quality without the restriction of cost. The result is a machine that utilizes many of the same commercial grade components ECM relies on for their prosumer models but at a more modest price point. 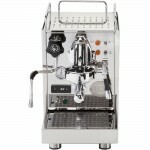 Externally, the machine boldly reinforces the fact that no corners were cut with its polished stainless steel housing and custom machined E61 group head. On the top of the machine, the large capacity railed cup tray doubles as a passively heated cup warming surface and can be removed for access to the water reservoir. Removing the tray also allows access to the pump pressure adjustment screw. As you make adjustments, you can monitor your changes can be with the pump pressure gauge mounted on the front of the machine. 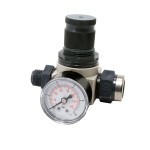 Beneath the pressure gauge, brew temperature can be monitored and adjusted with the PID temperature controller. 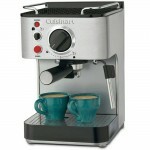 The Classika brews with .5 liter stainless steel boiler and a high-performance vibration pump. 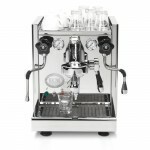 Like all ECM espresso machines, the internal plumbing avoids using teflon or other plastics in favor copper tubing with brass fittings. 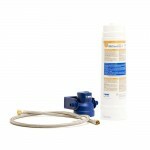 The water reservoir holds 3 liters and is fitted with a sensor that shuts off the machine off at low volumes to prevent the boiler from running dry. An advantage of brewing on a PID machine is that you can set the temperature to match your exact parameters. This becomes important when trying to extract specific notes and flavors from certain coffees. The vaunted E61 group head performs a vital function in helping to maintain these temperature conditions thanks to its thermosyphon system. 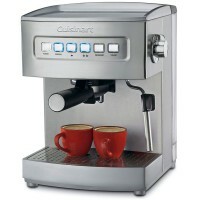 Hot water and steam are dispensed through a shared wand located on the left side of the machine. 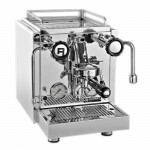 Whether you dispense steam or hot water is controlled by a steam switch that raises the temperature in the boiler when flipped on.The Classika froths using a commercial style, two-hole steam tip ideal for crafting lattes, cappuccinos, and other milk drinks.Compact and capable, the ECM Classika II PID has the features you want and quality that you can depend on. The Classika II PID is housed in polished stainless steel that is both tough as nails and easy on the eyes. ECM wasn't content with simply welding the drip tray onto the machine, it's actually part of the frame for enhanced durability and build quality. 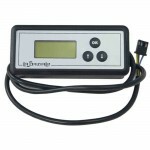 The PID temperature controller allows you to monitor and adjust the temperature of water in the boiler to create more precise brewing conditions. To help prevent accidental burns, the dual purpose steam/hot water wand has been insulated to keep it from getting too hot too quickly. The wand sports a two-hole tip, ideal for frothing milk for lattes and cappuccinos. 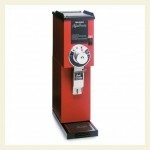 Hot water can be dispensed for drinks like tea and cocoa. 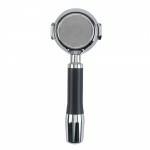 One of the first things you'll notice about the portafilter is how balanced it feels in your hand. 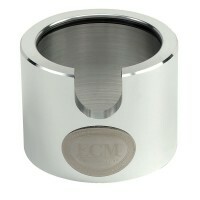 The weighted end offsets the weight of the basket, keeping you from having to overcompensate with your wrist. On par with commercial grade machines, the Classika’s portafilter is made of chrome-plated brass for increased temperature stability.